In response to another year of lackluster results with regards to efforts seeking to change archaic and anti-competitive beers laws stifling the industry, the Texas Craft Brewers Guild has announced the launch of CraftPAC, a political action committee (PAC) created to protect the rights of Texas breweries. 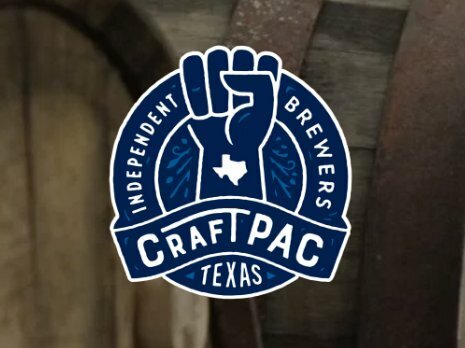 Championing job growth, increased economic impact, and expanded consumer freedom, CraftPAC will mobilize the whole Texas craft brewing industry and its community of fans to stand up for fixing the state’s beer laws. It’s time for equitable laws that will allow the Texas craft brewing industry to fairly compete on the national stage, attract more entrepreneurship and investment, and see an untapped rise in craft beer tourism. Up until now, Texas craft brewers have simply been outgunned by the Texas beer wholesale lobby which has made more than $18 million in political contributions over the last ten years. In return, this kind of influence has led to the Texas legislature passing anti-competitive, regressive beer laws including House Bill 3287 (2017), which sets a dangerous precedent of wholesaler interference in brewery taprooms. This bill passed despite opposition from the Texas Craft Brewers Guild and more than 15,000 craft beer drinkers who signed the Guild’s petition and contacted their legislators to voice concerns. Senate Bill 639 (2013), another damaging law on the books, prohibits breweries from selling their distribution rights to wholesalers (even though wholesalers are then allowed to turn around and sell these rights to one another). This law has resulted in a lawsuit against the state that is poised to be heard by the Texas Supreme Court. Numerous bills, filed over the last decade, that would legalize to-go sales from production brewery taprooms rarely even receive a committee hearing because of wholesaler influence. These to-go sales are legal for Texas wineries, distilleries, and brewpubs, not to mention breweries in 49 other states. Consumers not only desire, but have come to expect to-go sales. Ending this arbitrary and discriminatory prohibition against Texas breweries is one of the most urgent legislative priorities of the Texas Craft Brewers Guild and a key goal of CraftPAC. Ultimately, CraftPAC is a brewer-led effort for the craft beer community to counter the enormous financial influence of beer wholesalers on Texas politics through grassroots fundraising and advocacy. As the 2019 legislative session and TABC Sunset review approach, CraftPAC will support legislative candidates, ballot initiatives and pieces of legislation which positively impact the growth and sustainability of the Texas craft beer industry, while opposing legislative candidates, ballot initiatives and pieces of legislation which seek to hold the industry back. The craft brewing industry had a $4.5 billion impact on the Texas economy in 2016, contributing the equivalent of 26,506 full-time jobs. The Texas Craft Brewers Guild and CraftPAC are fighting to make this impact multiply by making Texas the greatest beer state in the nation. To learn more about CraftPAC, or to show your support by making a contribution, visit https://craftpac.org/contribute/.